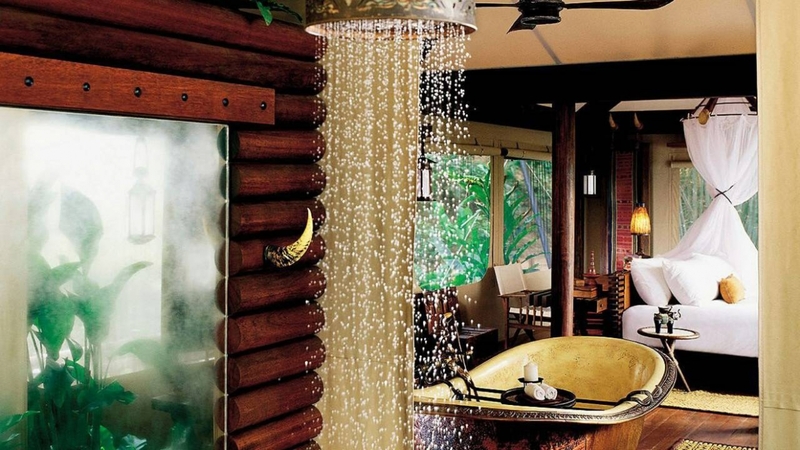 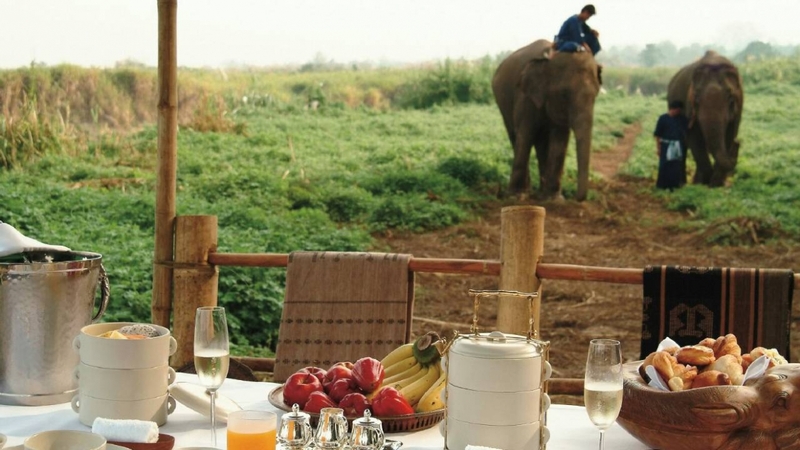 Four Seasons Tented Camp provides a unique opportunity to experience the wildlife of Thailand’s Golden Triangle in a luxurious and exotic setting. 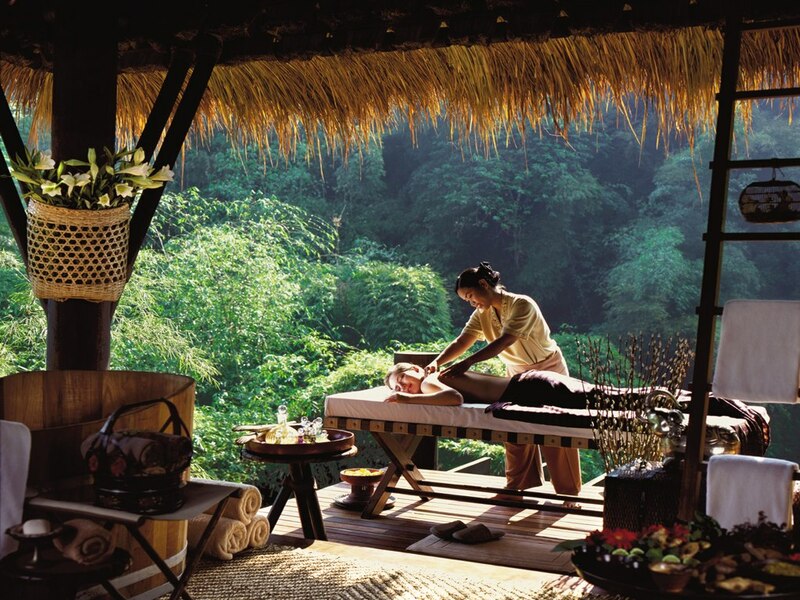 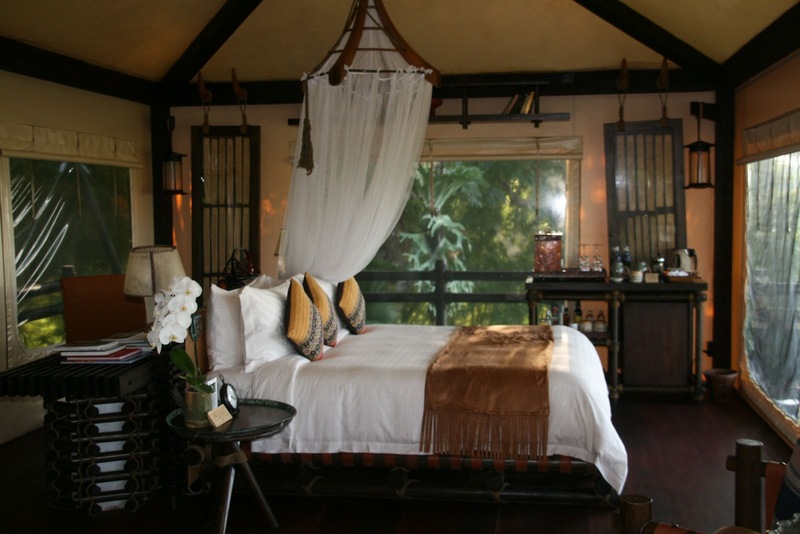 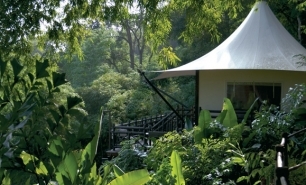 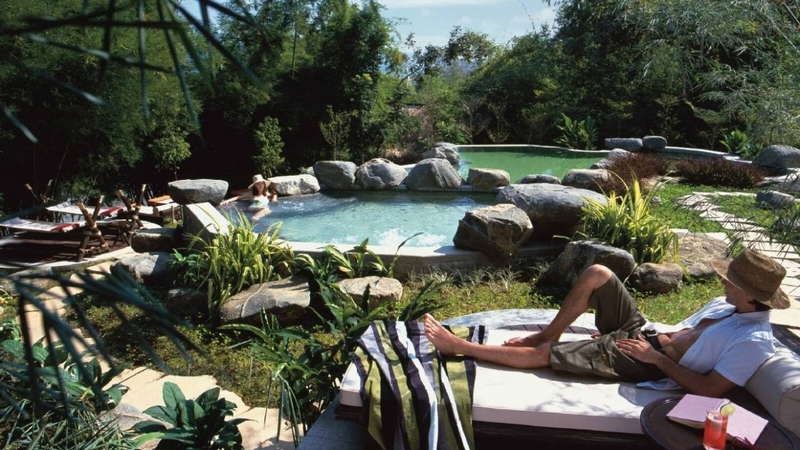 The Tented Camp is located on a jungle covered hill side facing the Mekong River Valley in the northern-most Golden Triangle region of Thailand, bordering Burma (Myanmar) and Laos. 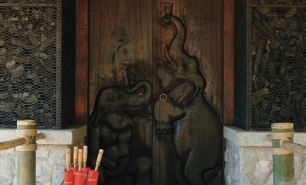 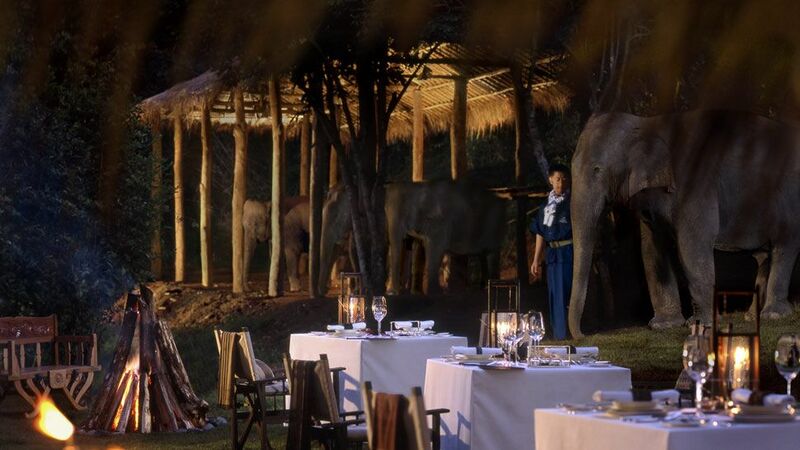 The location provides an excellent opportunity to interact with the camp’s resident elephants, visit local villages, and take boat trips on the Mekong River which separates Thailand from Burma and Laos. 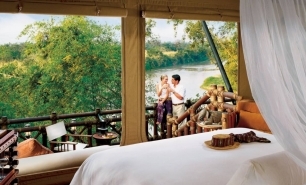 There are just 15 separate African safari style canvas tents scattered across the hill side facing the river, which are linked with the main public area via suspended walkways. 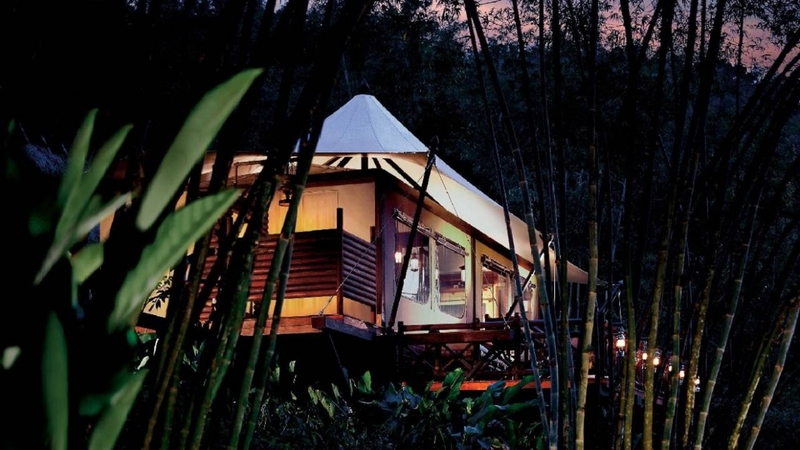 The tents are air conditioned, have hardwood floors, and copper bathtubs. 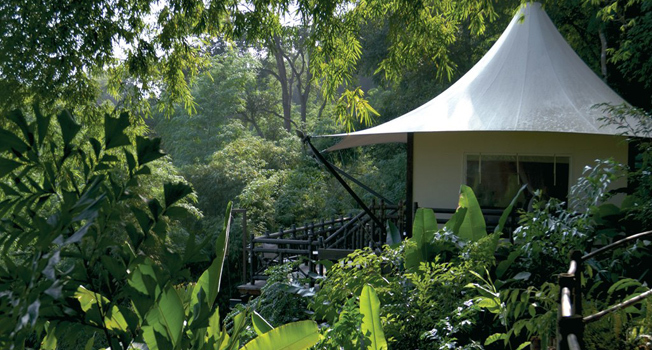 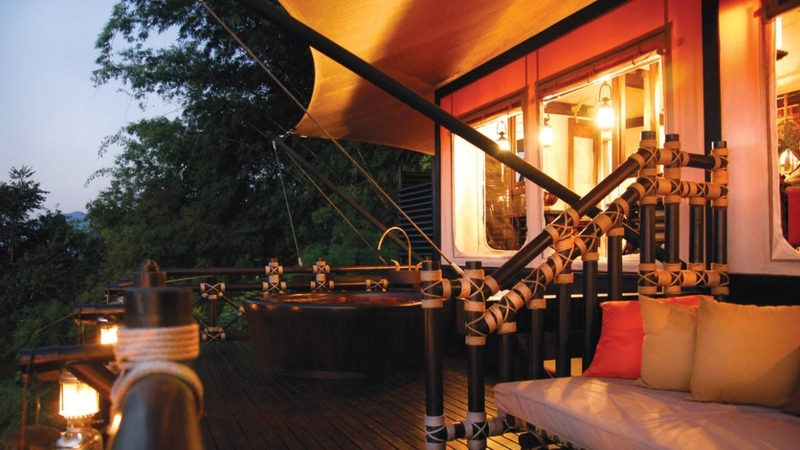 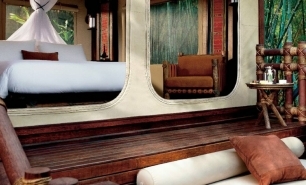 Each tent features an outdoor deck and offers views of the lush valley and the river. 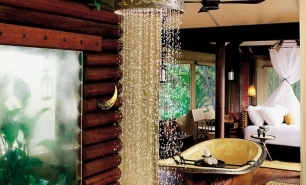 Deluxe Tents are the same size as the Superior Tents (54sqm) though they are also equipped with wooden hot-tubs on their decks. 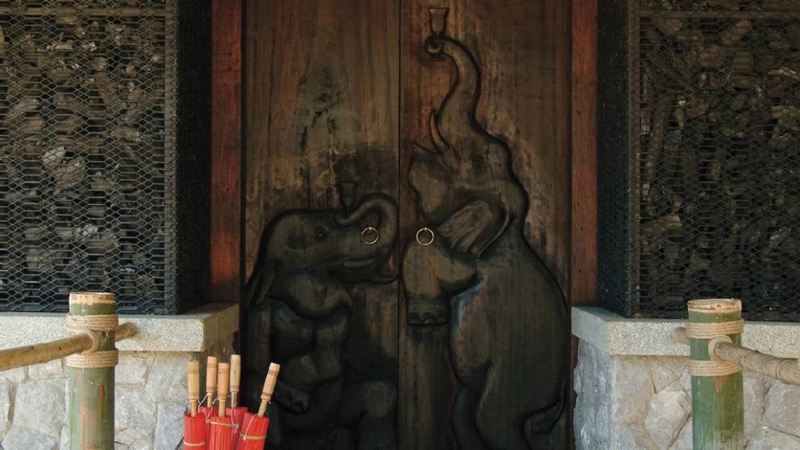 Nong Yao Restaurant, located in a rustic open thatched roof pavilion, offers Thai, Laotian, Burmese, and Western cuisine. 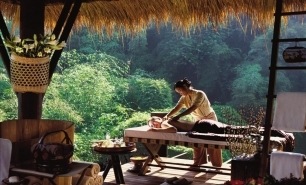 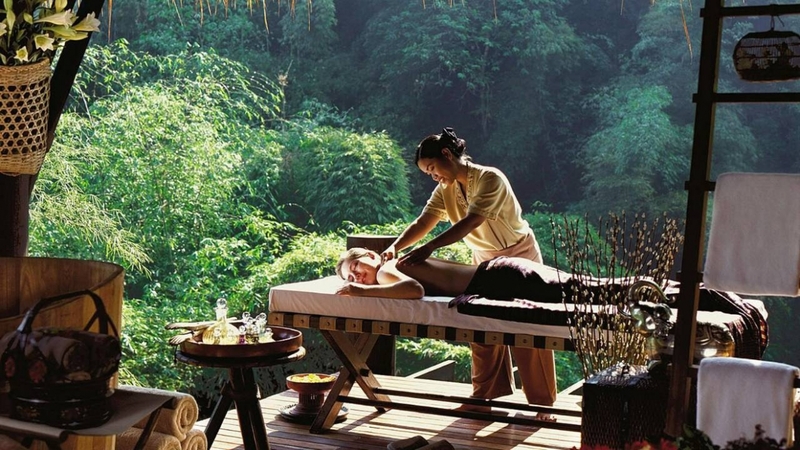 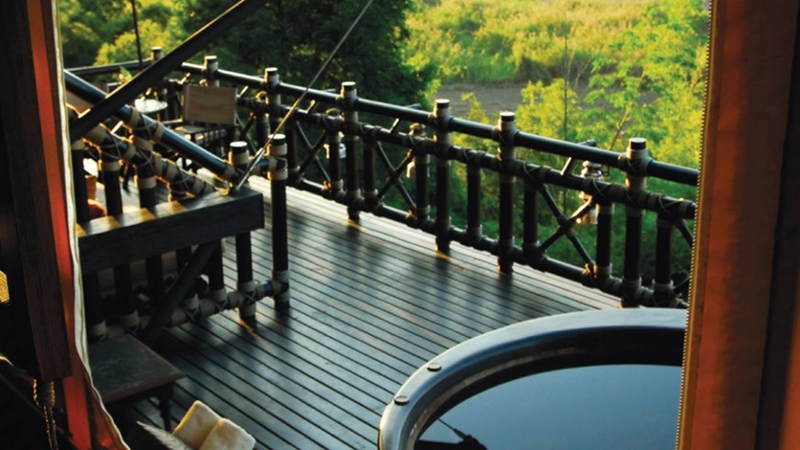 All meals and drinks are served in the Nong Yao Restaurant or can be provided for a picnic style dining experience in the jungle or on the riverside. 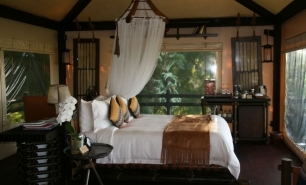 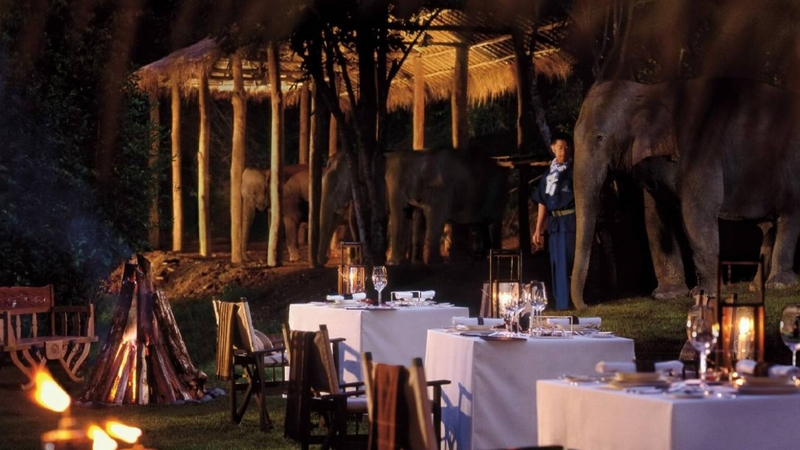 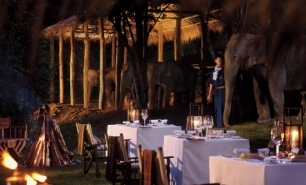 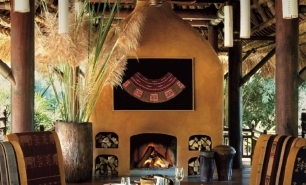 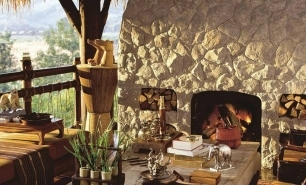 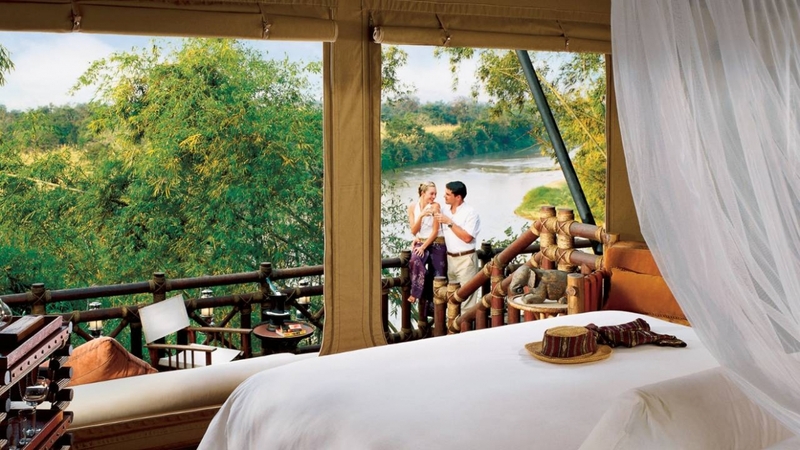 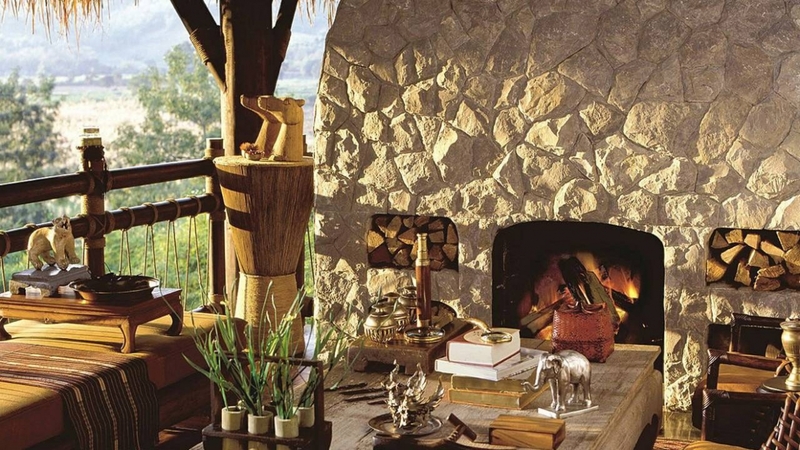 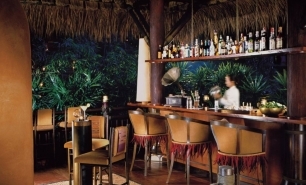 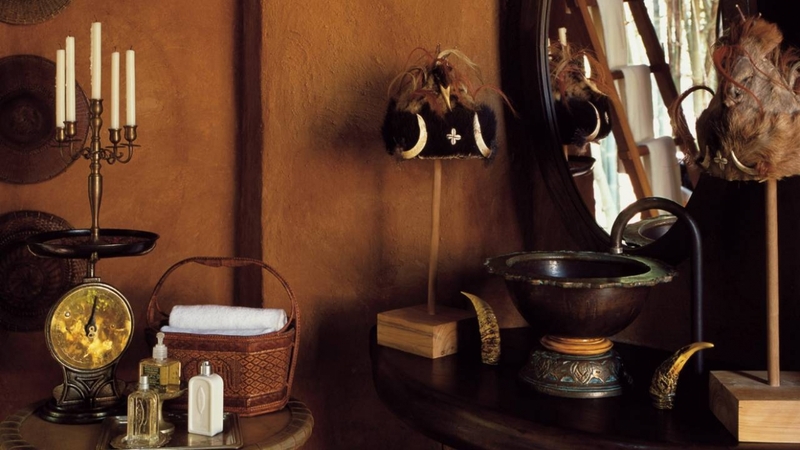 Before dinner, in African safari camp style, guests gather for sun-downers at the Burma Bar. 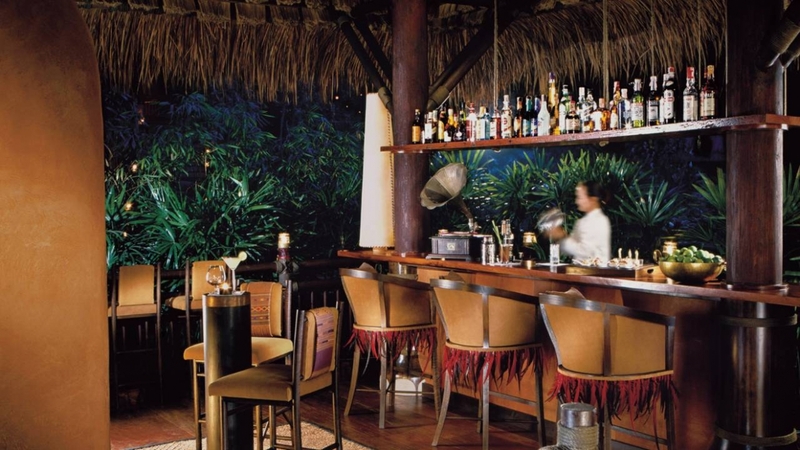 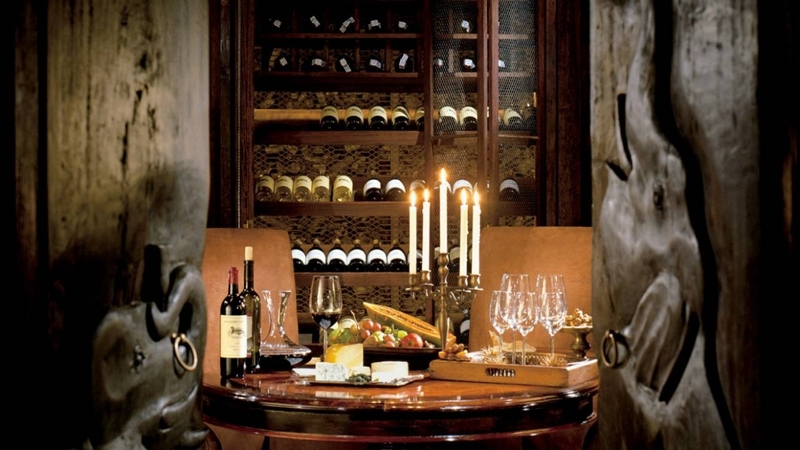 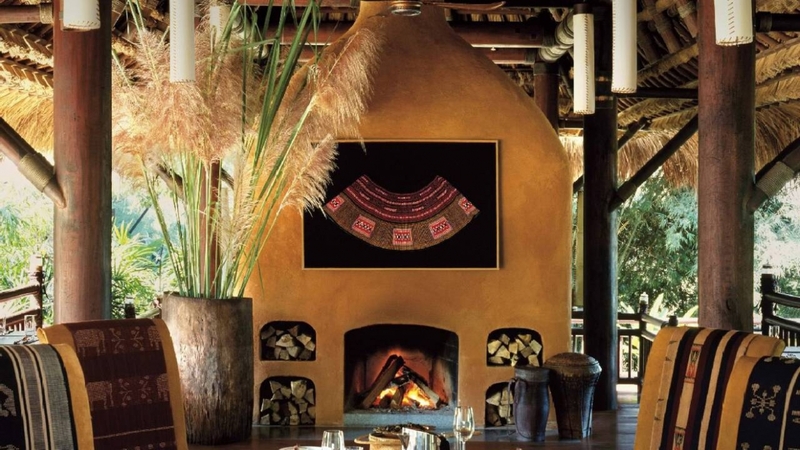 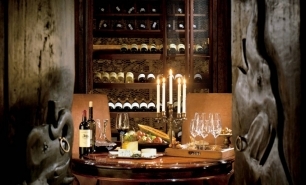 The restaurant features a bar area with a double-sided fireplace in the middle. 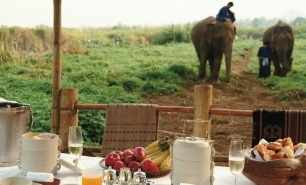 Interaction with the resident elephants is the main highlight of the stay at the Tented Camp. 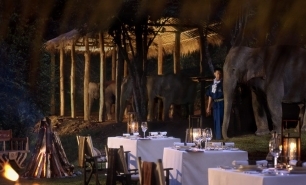 Guests wear mahout outfits and learn about elephant bathing and feeding. 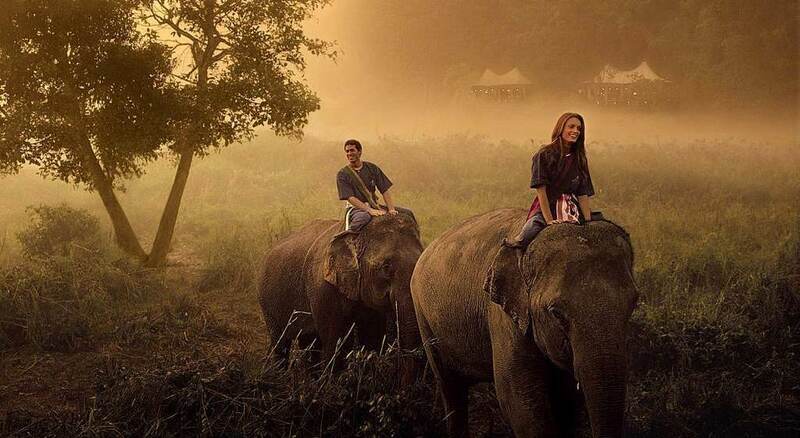 There are plenty of opportunities to ride the elephants through the jungle. 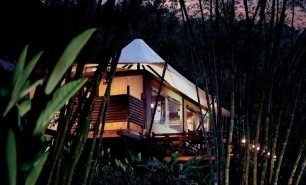 The camp offers helicopter tours of the Golden Triangle region. 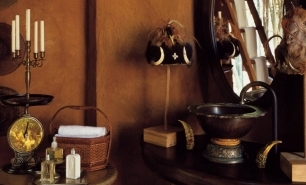 All scheduled activities and meals are included in the room rate. 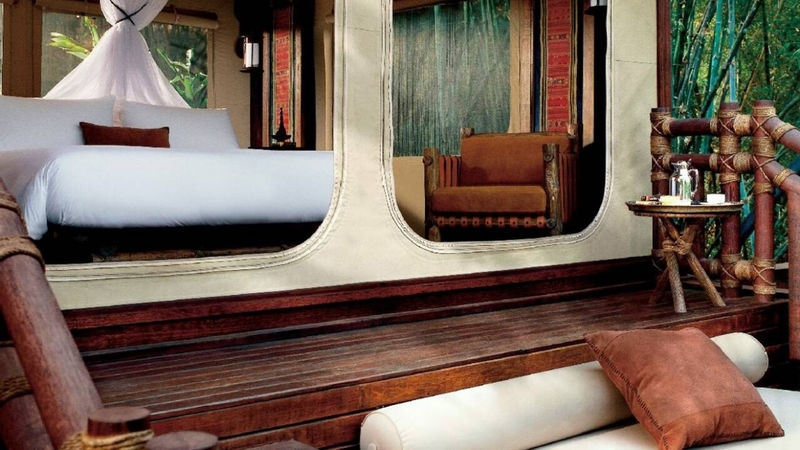 Children below 12 are not admitted as guests. 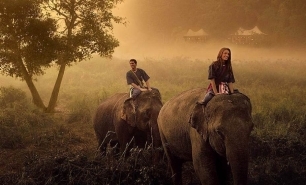 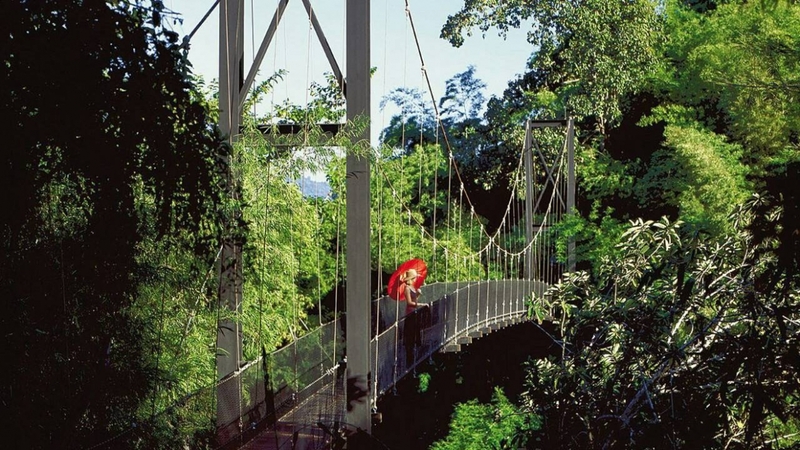 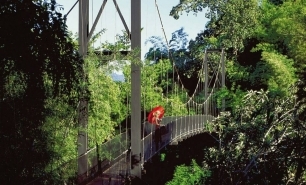 65km from Chiang Rai (1hr by car); Chiang Rai (CEI) is 75-minute flight time from Bangkok International Airport (BKK) and a 30-minute flight from Chiang Mai (CNX). 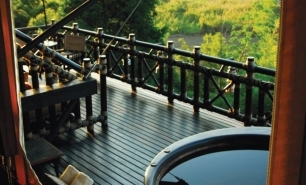 The Camp is reached by boat (10 minutes) from a launch near Chiang Saen.